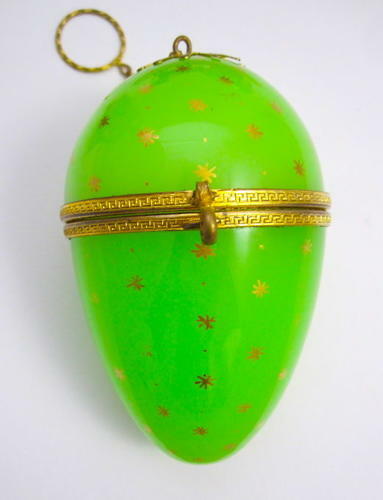 XL Large Antique Palais Royal Green Opaline Glass Egg Chatelaine with Dore Bronze Mounts and Original Finger Ring at the Top. Pretty Gold Enamelled Stars Decorate the Egg. Egg Only 10 cms long / 3.9"